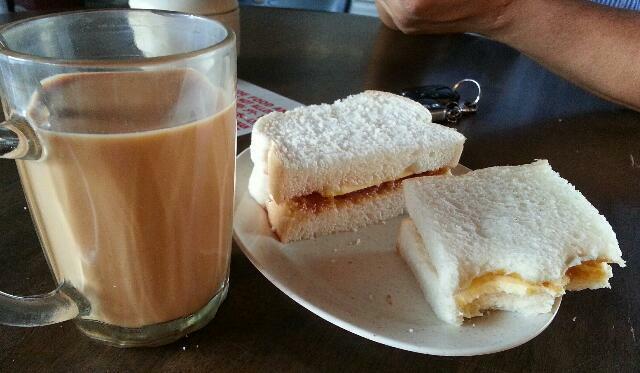 This is the all time favourite for the locals here. 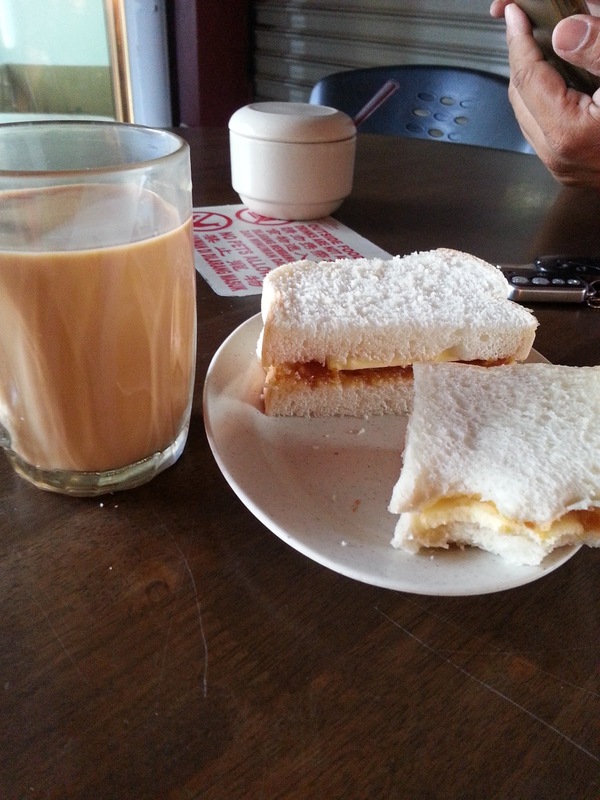 Some kopitiams serve this roti kahwin from morning till night. Soft bread sandwiched with generous layers of kaya (coconut pandan jam) and cold butter. Best serve with milk tea or coffee. I could finish two servings at one go. Once in a while I will order this roti kahwin but I love them toasted. A hot cup of coffee or black coffee will go well with this roti kahwin!